Mornington Crescent Area Guide - What makes Mornington Crescent so great? Where do Mornington Crescent locals go? This pub has an amazing beer garden that is great during the summer months! Superb cocktails and excellent food right by Regent's Park. The best toasted sandwiches in Camden made to order and excellent Portuguese custard tarts. An alternative fish and chip restaurant selling a tasty British classic with unusual culinary twists. A one stop shop for music lovers! The best coffee in Camden along with some great sandwiches and cakes. The Jazz Café is the place to go to watch big musical stars be born! Eat and listen to fantastic artists all in one place. A great burrito place that usually gives out tasters every day. Share your favourite place to go to in Mornington Crescent. "Hidden below Camden Lock market are a web of vaults and passageways which were once used to stable pit ponies for the nearby canals. While most are closed to the public, some sections can be spotted from the market." One of London's most vibrant areas, Camden is a melting pot of alternative shops, bars, restaurants and markets selling weird and wonderful things! 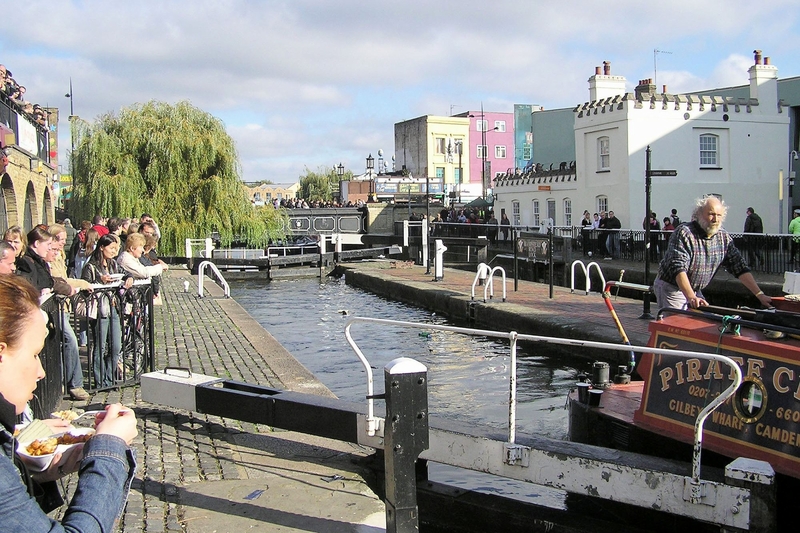 With its vibrant atmosphere day and night, Camden is one of London's most popular destinations. Nestled between the vibrancy of central London and the cultural explosion that is Camden with green spaces of Regent Park and unrivalled transport connections entertainment is never far away. What do you think of Mornington Crescent? Do you live in Mornington Crescent, or have you lived in Mornington Crescent recently? If so, let us know what you like about living in Mornington Crescent. Feedback about living in Mornington Crescent has been submitted directly by the public and may not neccessarily reflect the views of Foxtons. The description of Mornington Crescent was modified from Wikipedia and is available under the Creative Commons licence. Land Registry data is Crown copyright. All the views and contributions contained within Foxtons Local Life are those of the contributors. All content is assessed before publishing for taste, however free opinion is encouraged. Foxtons accept no payment or sponsorship for content that is posted about Mornington Crescent.